José was running low on his substance of choice (S.O.C.) one day; soon he would exhaust his supplies. He began to plot and scheme as to how to obtain more. He surveyed his companions as to their supplies. Although no one admitted to having any, some did. José began to panic. Every thought and every action was directed toward obtaining his S.O.C. He began to suspect the others of hoarding and concealing supplies. He begged and threatened, even attacked one of them to take their substance forcefully. The group fought back and abandoned José. He tried substituting substances, but that only made him sick. José decided he would find his group ambush them, kill them, if he had to, and get their substance. As he pursued them he began to hallucinate and became disoriented. He finally collapsed and died… José and his companions were lost in the desert; his substance of choice was water. People with addictions need the substance like José needed the water. In the above example, none of us would say José was addicted to water, even though he exhibited behavior that we associate with addiction. José was physically dependent on water, as are we all. Being physically dependent and being addicted are two very different things. To fully understand modern addiction treatments you must completely understand the difference between physical dependence and addiction. Human beings are physically dependent on many things and substances. We have built-in survival mechanisms. When we need water we thirst, when we need food we become hungry. The more urgent the biological need for the substance, the stronger is the message from the brain. These survival mechanisms can also be used against us. The body can be tricked into believing it needs a particular substance for survival when it really doesn’t. When addicted to a substance the person experiences cravings, similar to that of thirst. The brain thinks it needs the substance for life and if it does not receive it, it will send pain signals. Thirst and hunger are in effect withdrawal symptoms from inadequate amounts of water and food. What is Addiction and how is it Different from Physical Dependence? Let’s look at a typical situation. A person is prescribed an opioid pain medicine such as Oxycodone, for a back injury. They take the prescribed amount for a few weeks. Within this period, they will have developed a tolerance for the medication; meaning the prescribed amount will not have the same effect as it did on day one. Hence, they will need to take more to receive the same effect. Often at this time the pain has diminished, and the person can discontinue the medication. But suppose the pain is still there and the person needs to work, care for children, and so on. The doctor may prescribe either a stronger pain medicine or more of the same medicine. This cycle may continue for weeks or months – small increases in medication to maintain the same relief of discomfort. After a few months the person has built up a significant tolerance to opioid medication. Tolerance becomes physical dependence; meaning if the medication is abruptly discontinued, the body will send those survival signals to the brain saying we need more. If the body does not get more, the signals get stronger. If the person were to continue to avoid opioids, these signals would peak, level off, and eventually subside and the tolerance would reverse itself and things would get back to normal. This cycle of tolerance and physical dependence is normal and is experienced by anyone who has been treated for a chronic pain condition, with an opioid pain medication, for many months. Tolerance and physical dependence are normal physiology while addiction is a disorder. Suppose the person does not stop at this point. Maybe they have a stressful project at work, or for some other reason cannot endure any withdrawal symptoms. They instead, continue to take more and more opioids. They become more and more physically dependent and require more drugs more often. Sometimes people become addicted. With addiction not only will someone experience withdrawal symptoms if the substance is abruptly removed or significantly decreased, but the person will continue to seek out and take the substance whether the pain still exists and despite adverse consequences, such as losing a job or overspending to obtain the substance. Not all physically dependent patients become addicted. There are many factors – including genetics and environment– that play a role. Addiction controls someone’s life by creating a continual need for more and more of a substance and by making it possible for them to seek out the substance despite adverse consequences otherwise not tolerated by the individual. To summarize; taking an opioid over time develops tolerance, as the tolerance progresses it becomes physical dependence. This can progress into addiction and is defined as a primary, chronic, neurobiologic disease, with genetic, psychosocial, and environmental factors influencing its development and manifestations. It is characterized by behaviors that include one or more of the following: impaired control over drug use, compulsive use, continued use despite harm, and craving. Agonist: Drugs that activate receptors in the brain are termed agonists. Full agonist opioids activate the opioid receptors fully, resulting in an opioid effect. 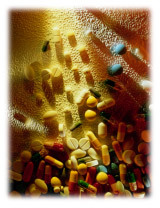 Examples are heroin, oxycodone, methadone, hydrocodone, hydromorphine, morphine, opium, and others. Antagonist: Drugs that block opioids by attaching to the opioid receptor without activating them. Antagonists cause no opiate effect, and block full agonist opioids. Examples are Naltrexone and Naloxone. Naloxone is sometimes used to reverse a heroin (or other full agonist) overdose. Buprenorphine has properties of both and is classified as a partial agonist. It both activates the opioid receptor, but to a much lesser degree, and blocks other opioids while allowing for some opioid effect of its own. This is why it would be misleading to classify buprenorphine as a replacement therapy. It would be equally misleading to classify it solely as an opioid blocker. Buprenorphine is in a category of its own and therefore should not be seen as “replacement” for anything.